Our route then continues through farmland, native bush and forested areas, passing by Lake Rotoiti and Lake Rotorua before arriving at Whakarewarewa - Te Puia. Te Puia, the home of the Maori Arts and Crafts Institute and the location of the famous Pohutu geyser. We visit the carving school and see craftsman fashion traditional wood carvings, then move on to watch Maori women demonstrate flax weaving. 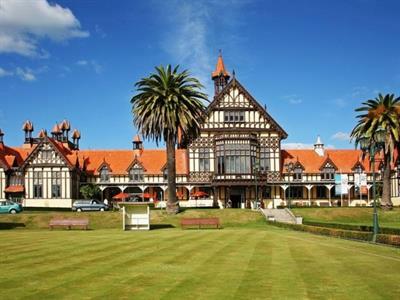 There is time at Te Puia to enjoy a light lunch at their cafe. [at your own cost]. 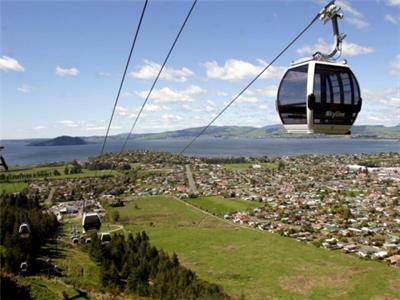 After lunch we drive through Rotorua City to the Skyline Skyride, one of the top most popular destinations in Rotorua. Your tour cost includes the Gondola up to the top station for access to some great activities, such as the Luge runs down the mountain, the Big Swoop and the new Zoom Zip Line. 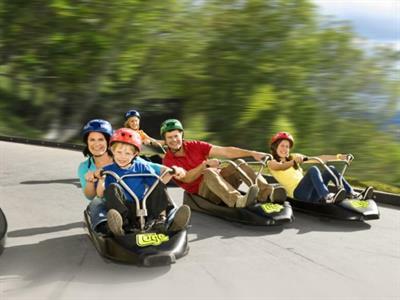 There is a cafe where parents can enjoy some refreshments while watching the kids have fun on the Luge runs. Any additional activities at Skyline Skyride, can be purchased on the day.